Protests are planned in cities from San Francisco to Phoenix to Sioux Falls, South Dakota, to Portland, Maine. 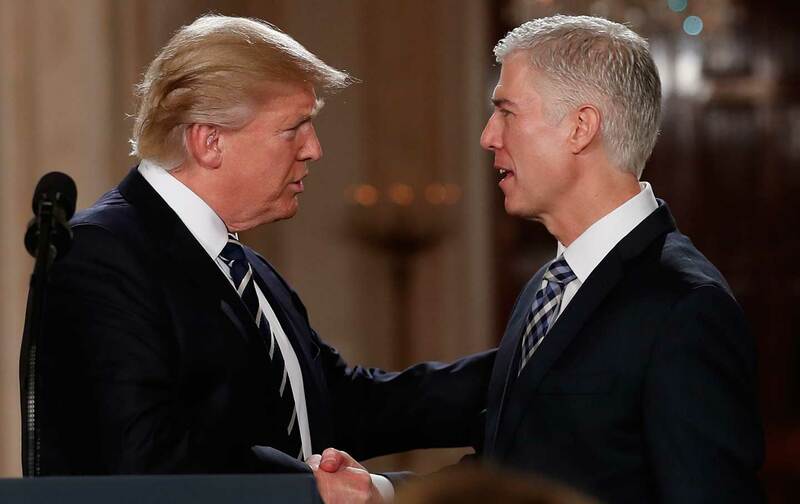 At his confirmation hearing last week, Supreme Court nominee Neil Gorsuch avoided giving a straight answer on his positions for many key issues likely to come before the court. As The Nation’s Ari Berman pointed out, this strategy echoed that of Chief Justice John Roberts who once stressed that his role as a judge was that of an “umpire” unencumbered by politics, but who later “aggressively pushed the Court to the right” on issues ranging from school integration to voting rights to corporate spending on elections. In fact, Gorsuch is likely to hold even more damaging beliefs than Roberts; a recent review of his opinions found them to be more conservative than all current Supreme Court justices except Justice Clarence Thomas. The likelihood that Gorsuch will move the court to the right, coupled with Republicans’ refusal to even hold a hearing for President Obama’s nominee Merrick Garland, make it clear that Democrats should fight back and filibuster Gorsuch’s nomination. Of course, if Democrats do this, Republicans could use the “nuclear option” to end the use of filibusters for Supreme Court nominations altogether. However, as Joshua Holland recently argued, this tactic could ultimately hurt the GOP more than Democrats—and Democrats should fight Gorsuch’s nomination and call their bluff. This Saturday, April 1, people across the country are gathering for a “people’s filibuster” calling for the Senate to reject Gorsuch’s nomination. The protests are planned in cities from San Francisco to Phoenix to Sioux Falls, South Dakota, to Portland, Maine, and will feature everyday Americans speaking out about why they reject Gorsuch’s nomination. You can find one near you here. Finally, if you can’t make it to a protest near you, call your senators at (202) 224-3121 (or find your senators’ direct numbers here). Then, use the form below to let us know how your call went and what else you might be planning to fight Trump’s Supreme Court pick. You can also use this form to sign up for The Nation’s Take Action list and we’ll be in touch with more ways you can fight Trump’s extreme agenda.